Murderers and mob bosses… they’re not your normal neighbours. Unless, like Moose’s family, you’ve just moved to Alcatraz! It’s 1935, and twelve-year-old Moose Flanagan is starting a new life on the infamous prison island, where his dad has just landed a job. Alcatraz’s high-security jail is home to notorious criminals like Machine Gun Kelly and gangster Al Capone. As the new kid on the block, Moose must try to fit in at his new school, avoid the warden’s gossiping daughter and keep an eye on his autistic sister. All he wants to do is stay out of trouble. But on Alcatraz, trouble is never very far away! 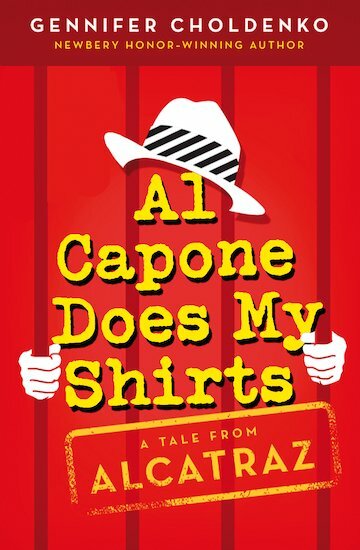 Gennifer Choldenko has won a number of awards, most notably a Newbery Honor for Al Capone Does My Shirts.